The dawn of the semi-automatic pistol era changed the service handgun landscape forever. Up until the Mauser became the first self-loader to be widely used in combat, the handguns of the battlefield were revolvers. There were some great revolvers that served nations, from the Colt SAA to the Webley and the S&W Russian. But semi-autos were easier to shoot, could hold more ammunition, and were easier to reload. There have been many great semi-auto service pistols, but these five stand atop the list. Starting with number five and working our way to number one, here are The 5 Greatest Military Pistols. 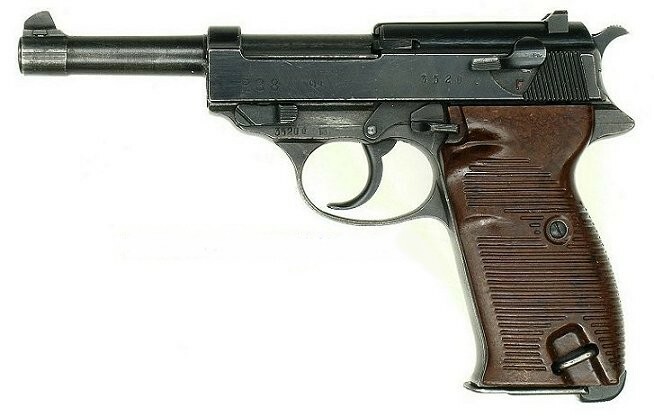 Aside from serving as the basis for Han Solo’s DL-44 in the Star Wars trilogy, the Broomhandle Mauser’s second greatest claim to fame is that it was the first semi-automatic pistol to be widely used in combat operations. Its first military contract was issued in 1899, and it continued to serve through WW2, where the Luftwaffe issued it in limited numbers to pilots. In the beginning of the 20th century, as the semi-automatic pistols began to dominate on the European continent, the US Army made the decision to switch back to a .45 caliber sidearm, having deemed the .38 Colt revolvers underpowered for serious work. 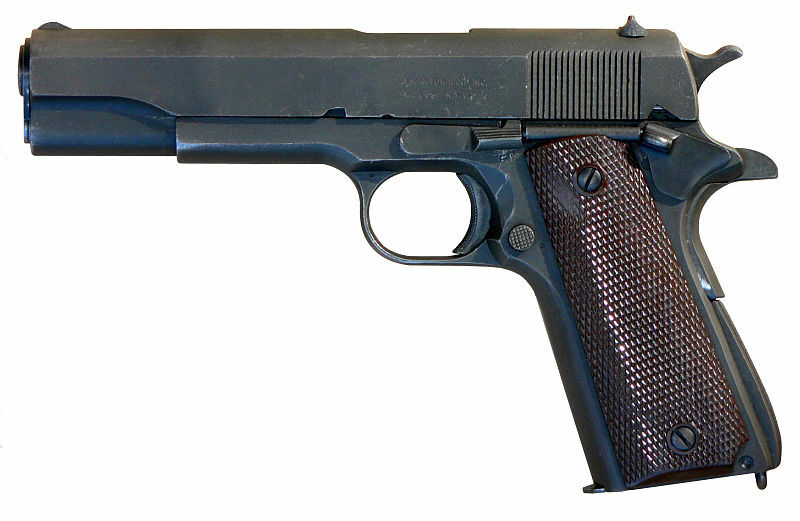 Eventually, the John Moses Browning designed 1911 was selected, and from 1911 until the 1980s it served America as the standard service sidearm. WW1, WW2, Korea, Vietnam, and countless other operations and actions saw the 1911 carried into battle. It still continues to serve the country today with various special mission units, most recently as the M45 CQBP used by Marine Corps Force Recon and MARSOC. The Beretta M9 is significant in its difference. It replaced the venerated M1911 as the standard service pistol of the US Military, and despite its ability to still generate frothing rage among some, it has served the country for nearly 30 years and has been exposed to constant warfare for over a decade now in Afghanistan and Iraq. It’s notable as well for being the first double stack pistol adopted by the United States, the first 9mm pistol, and the first DA/SA. It set a trend across the nation of police departments abandoning their faithful revolvers, and truly kickstarted the Wondernine Era of the early 90s. For all the Beretta’s accomplishments, it is in many ways a spiritual successor to the Walther P38 and P1. The P38 uses a similar action, safety, and was the first DA/SA pistol in a service caliber to be adopted by a major military. After its use in WW2 by the forces of the Third Reich, it was redesigned with an alloy frame and designated the P1, where it served the West German Army during the Cold War. It is truly a historically significant pistol, and while it lacks some of the combat chops that other pistols on this list have, it is notable like the Broomhandle Mauser for a number of firsts. The Hi-Power is perhaps the greatest of John Moses Browning’s pistol designs – while there are certain aspects that definitely bear the fingerprints of his European co-designer, the gun’s service record more the speaks for itself. It was one of the first double stack pistols to see wide military issue – at one time over 50 nations issued the BHP as their standard pistol. It was nearly the de facto sidearm of NATO, with the US being the only hold-out. It was the sidearm of every nation in the British Commonwealth for a considerable time, and is still issued as the standard sidearm to a number of nations to this day. It has seen service in military conflicts from WW2 dating to the wars in Afghanistan and Iraq. While the 1911 may be the beloved American service pistol, the Browning Hi-Power deserves the top spot on this list for being the service pistol of the rest of the free world. Side by side, the family resemblance between the P38 and the M9 is striking. Honorable mention should probably go to the Walther PP and PPK as the universal police pistol for most of Europe, and to the Makarov PM for its ubiquity everywhere else. 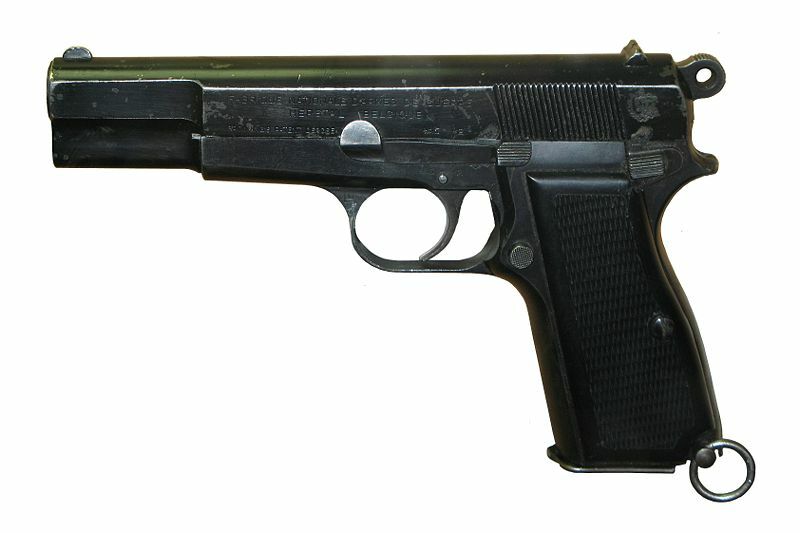 The Mak almost made the list for being the service weapon of the badguys during the Cold War. Can’t argue with your choices–especially since I own 4 out of the 5 you listed, only lacking the Mauser Broomhandle. I think the Makarov should be somewhere in the top 5. Since the P38’s already on the list, I’d probably pull out the M9 and plug in the Mak. I’d also re-order it a little: 1 – BHP, 2 – P38, 3 – 1911, 4 – Mak, 5 – Mauser. As much as I love the 1911, 3 & 4 on that list would be almost interchangeable, given that they were the native sidearms of choice for the superpowers during most of the Cold War (while most everyone else was using the BHP). My $0.02. BHP definitely is number 1, though. It’s always been a stunning design. CZ-75? I would include that before the hi power. What’s the CZ-75s military history? 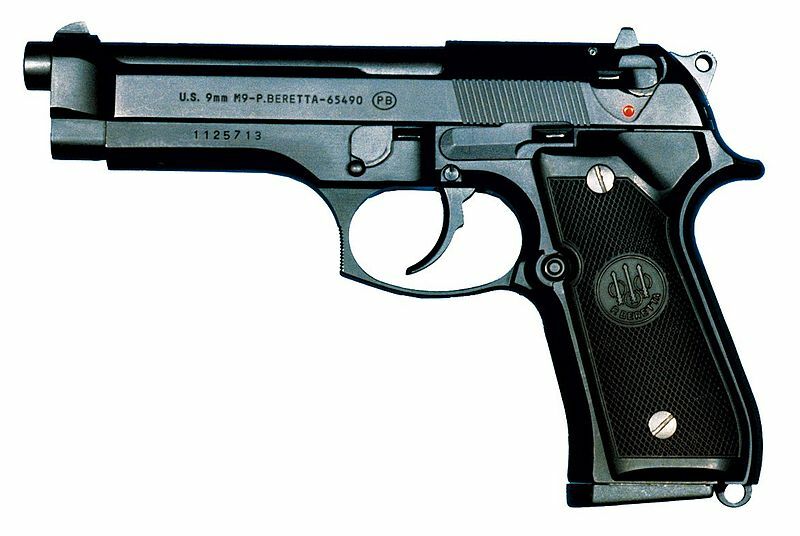 Its one of the most common service pistols worldwide. Never caught on in america but you’ll see more czs than glocks around the world. Strictly military probably not add in law enforcement types then yes. CZ75 is basically a reworked Hi Power though. Just curious why Glock isn’t included on here. Luxembourg Army among others. See Wikipedia for list. Most don’t trust a soldier to handle a gun without a manual safety. I’m somewhat on your side on this. Not realizing the Glock 45 my son gave me for Christmas had no trigger safety I inserted the magazine, racked a round and fired one into the ground. My friend got angry when I told him it was an unsafe weapon but he finally recanted after we talked about it awhile. It would be a much safer weapon with a trigger safety. Did you have your finger off the trigger?? How did you touch off a round without putting your finger on the trigger?? If your finger was off the trigger that is A REAL UNSAFE PISTOL and doesn’t represent the thousands of other Glocks in service since its introduction!! No safety could have prevented that!! Real Force Recon of you right there. That is about the stupid thing I have ever read. Seriously do not touch guns. I carried a Glock for years and never had a negligent discharge but i keep my booger hook off the trigger unless i ready to shoot. UK, Germany, Poland, CAG, Ranger Recce teams, Army Special Forces. The BHP was also used by the Germans in WWII after they occupied Belgium and controlled production at the FN plant. It was apparently popular with the Gestapo, and supposedly used in Waffen-SS and parachute units. BHPs were made in Canada while Belgium was occupied (FN sent the pistol plans to Britain when it became apparent that Belgium was being overrun), by Inglis in Toronto. Apparently, the Inglis components are not 100% interchangeable with an FN BHP. It makes me happy that the BHP has fought itself and won every time. The list is exactly correct, including the HiPower as #1. if you we going to add a couple more, the Luger might rate but the Tokarev would beat the Mak. Organize a pistol history class with 25 or 30 people who know nothing about pistols. Let them see and handle a handful of pistols from JMB (but not the Hipower) and each of the other major designers over the past 120 years. Now show and let them handle the Hipower. They will all instantly recognize it as a Browning. Browning wasn’t just a technical genius, he was also a an artistic genius and master of ergonomics decades before the word was invented. The hi-power was also on both sides of the Falklands conflict. Sorry Caleb, but the staff at the NRA Whittington Center Museum Disagrees with your list too and they sorta have years of experience in the subject matter. How difficult is it to get a C96? The GP35 effectively started the “high capacity” trend. It fought on BOTH sides of most of the wars it was involved with, due to it’s ubiquitous nature. It was a primary issue service pistol in alost every single war fought since WWII broke out. It pretty much singlehandedly established 9x19mm Parabellum as the “non-Communist” service caliber. Less than a half dozen (all militarily SMALL nations) have issued the CZ75 for general military use. Double that, if you want to include clones. It is a popular police and personal pistol. Still overshadowed in useage by the GP35 by a long shot. And I suspect that more CZ75s have been sold in the United States to private owners than any other nation. . . Calling the CZ75 a major military pistol is like calling the AR18 a major military rifle — sure, it has some neat features, and has actually seen service, but it’s paddling around in the wading pool while the GP35 is diving the 10m board, comparatively speaking. The “list” is kinda goofy. The broomhandle is a mediocre design and with it’s 7.63 mauser loading not very effective. The P38 while having a reliable DA as a big plus…has virtually nothing else to back that up. The Pistole 08…c’mon guys it’s a jammo matic in anything but perfectly clean with the right ammo environments , even the germans new this !. Not to mention the complete over engineering fiasco it was. The Polish made Radom Vis35 is an equal to the browning GP35 ( obviously it’s a copy to a huge extent ) The GP 35 having better sights and 13 shot magazine trump the 8 shot and tiny sights of the polish Vis35. The 1911 design is super hard to beat as it just plain works and packs a punch. I love my CZ75 and consider it the paramount of issue 9mm’s today. The plastic glocks and their clones with no manual safeties just don’t cut it. And the M9/beretta 92 is nothing more than a P38 with a double stack magazine…and it aint so great. Another lowest bidder fiasco. Oh and the GP35 was not favored by elite nazis…simply it was not a mainstream arm supplied to the Heer and as such was pawned off to formations like the SS and others so the heer could funnel their chosen issue weapons to their standing forces. Loads of politics in german arms procurement and issue during WW2 and coupled with teh typical german frugal mindset they reissued almost 99% of everything they captured. But I digress. The TT30 and TT33 tokarev pistols are excellent and when used with hot loaded 7,62 tok ammo they are efficient. Amazing how one man John Browning made so many top shelf designs and how others tweaked them…and they still beat all comers. the 1911 should be at the top of the list being it is still in service limited but still carried. I always get comments when I shoot IDPA since I use my Hi Power. It’s a fan favorite of everyone.